Although I live in La Mesa, I’m just a hop skip and a jump away from Lemon Grove. After a recent visit to the San Diego Museum of Man, I discovered that Lemon Grove once had more than just lemon groves. Looks absolutely nothing like King Tut! 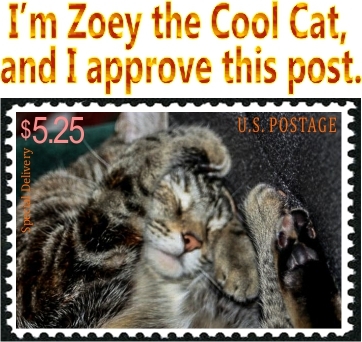 It was first discovered in Chihuahua, Mexico, and then “rediscovered” in Lemon Grove. The two men who discovered the mummy in 1966 brought it back to Lemon Grove and put it in storage in a friend’s garage. Before they could decide what to do with it, they were drafted into the Vietnam War. Everyone forgot about it. In 1980, the friend’s mother was cleaning out the garage when she opened an unfamiliar box and discovered a curled up human body in it. After her initial screaming (might have been worthy of a “Friday the Thirteenth” movie), she called the police. 911: This is 911. What is your emergency? Mom: I found a body. 911: You found a body? 911: And you just found it? 911: Where did you find it? Mom: Yes, in my garage! 911: And you found it? Mom: Yes, I told you! I found it in my garage! 911: Did you know it was there? Mom: No, I said I found it! 911: But it was in your garage? 911: So you didn’t know it was in your garage? 911: Is it male or female? 911: You don’t know if the body is male or female? Mom: It looks like it’s about a thousand years old. 911: And it’s in your garage? Mom: Yes! I found it in my garage! 911: When was the last time you were in your garage before finding the body? 911: You were in your garage yesterday? 911: You said the body looks like it’s a thousand years old? 911: But you were in your garage yesterday? 911: Why didn’t you see this thousand-year-old body yesterday when you were in your garage? Mom: It was in a box. 911: Who put it in the box? Mom: I don’t know! I found it today! 911: So you found a thousand-year-old body today in your garage in a box and you don’t know anything about it? 911: Okay. I’m going to send a sheriff to your home. What’s your address? Mom: 1234 North Mummy Mountain Road…. The mummy is that of a woman who lived about 800 years ago. It is an example of a natural mummy, a body that is preserved without using any preservation methods. In this case, the body dessicated rapidly in the hot, dry environs of the Chihuahuan Desert, the second largest desert in North America. Since it was removed illegally from Mexico, it belongs to the Instituto Nacional de Anthropología e Historia in Mexico City and is on loan to the San Diego Museum of Man. 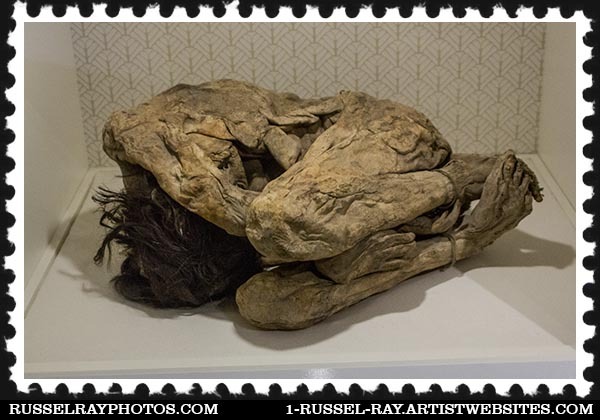 This entry was posted in Out & About, Photos and tagged lemon grove mummy, San Diego Museum of Man on August 8, 2015 by Russel Ray Photos. I made up the 911 transcript but it’s based on many actual 911 audios from the past year or so that I have found so incredulous. Too amusing. Because, seriously, how in the world would you report that to the police? That is as funny as if would be frustrating for the poor mum! Thanks for the laugh. Great photo. I love it when people laugh. We need more laughter in the world! I’m going to have to look up this mummy now! What a story! Thanks for sharing! Wow! What a thing to find in your garage. She’ll never forget that! Your transcript is really amazing. What a story. Thanks for sharing.